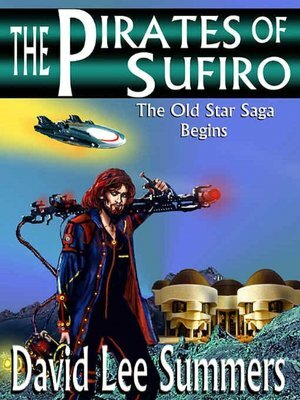 SYNOPSIS: The Pirates of Sufiro is a novel by David Lee Summers. It tells the story of the colonization of a planet by pirate captain, Ellison Firebrandt, his first lieutenant, Roberts, and Suki, his lover. The planet soon becomes a refuge for people of all sorts, looking for a new life and a chance to start over. Things go wonderfully, until Captain Jerome Ellis of the Mao Corporation discovers the rare mineral, Erdonium, on the planet. Soon, the old settlers are battling the new entrepreneurs for control of the planet. At the same time, the galaxy faces a new threat…a power that destroys space ships at will…an enigma called the Cluster. An all new edition of The Pirates of Sufiro with a new cover and four interior illustrations by Laura Givens is now available! David Lee Summers is an author, editor and astronomer living somewhere between the western and final frontiers in Southern New Mexico. He is the author of five novels: The Pirates of Sufiro, Children of the Old Stars, Heirs of the New Earth, Vampires of the Scarlet Order, and The Solar Sea. David is also co-author, with Lee Clark Zumpe, of the book, Blood Sampler, from Sam’s Dot Publishing. His short fiction has appeared in such magazines as Realms of Fantasy, The Vampire’s Crypt, Aoife’s Kiss, The Fifth Di…, The Martian Wave, and Science Fiction Trails. He edits the science fiction and fantasy magazine, Tales of the Talisman and serves as a consultant for El Paso Community College’s literary magazine, Chrysalis. In addition to his work in the written word, David has also worked at numerous observatories around the southwestern United States. Currently he works for Kitt Peak National Observatory, outside of Tucson, Arizona. He lives in Southern New Mexico with his wife Kumie and his daughters Myranda and Verity.